Nagase Application Workshop | Business Introduction | NAGASE & CO., LTD. 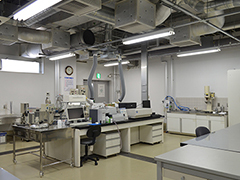 The Nagase Application Workshop (NAW) is home to specialized equipment and expert staff capable of conducting raw materials analysis, application development, and final product formulation for plastics and coating materials. This organization is responsible for technological development, incubation, and technological training. 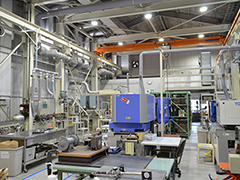 The NAW continues to pursue surface decoration and functional properties in the fields of plastics and coatings. 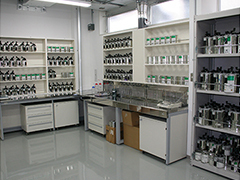 Coating and ink formulation by expert technicians, test production of coatings and inks using various processing equipment, physical property assessment using various evaluation equipment. 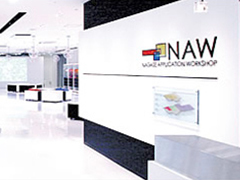 The NAW serves as an incubator for new business development within the NAGASE Group, receiving expert staff from divisions and affiliated companies on a temporary basis. This increases the speed of business development through the effective use of technical support available through NAW facilities and staff.